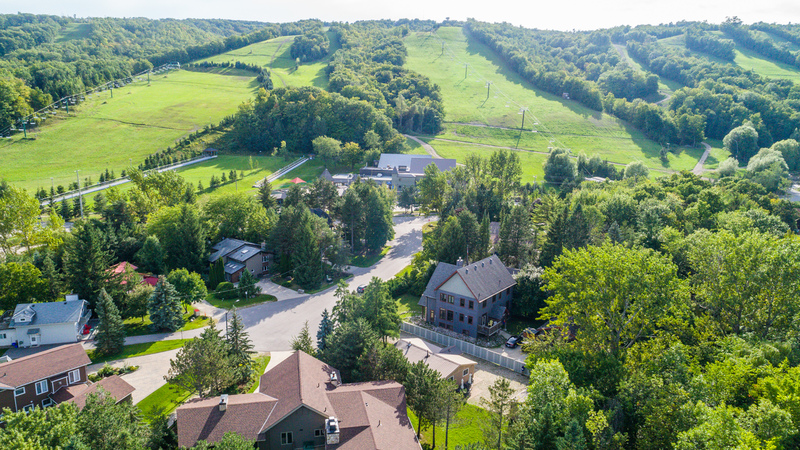 a view of Blue Mountain in summer, from a real estate virtual tour session. 2. Using YouTube instead of Vimeo is part of what 'setting it up properly'. Why? 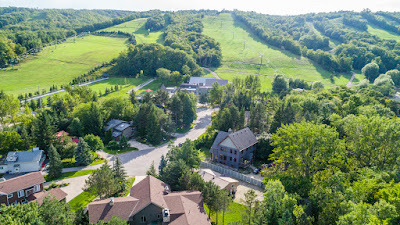 Well, currently, if you sent the YouTube URL address to a realtor, it can be pasted into the "multimedia" segment for a listing and it will show up with an approximately 800px X 600px thumbnail on the listing page at realtor.ca. That amount of real estate is huge considering comparison to the photos that a realtor has control over - being 200 pixel thumbnails on the same page before you enlarge them. What if you're thinking that conflicts directly with other advice, namely, conflicts with a deep urge to drive as much traffic to your website as possible. Yes. That's true, you're driving less traffic to your website directly, but you're also better meeting the needs of an interested consumer. I produce a lot of videos for realtors, and I see a lot of view-counts, and there are a few notable behaviours in the ones with better than average views. The easiest of all are these two steps above that can change your organic reach for real estate marketing, immediately. Do you want to see some of my real estate video tours on youtube? Here are my Collingwood area real estate videography and virtual tours on youtube. I have clients, new ones and regulars and I'd love to help ensure that what they hire me for, reaches it's maximum efficiency. The more success my clients find, the more success will find me. It's that simple. Why tell the world though? Why not. I needed something to write about anyways. It's been a while since I've written anything here at the blog, so this might seem like a huge shift in gears, but it's more in line with the photography and marketing I do now. You can still expect more of what I always shared, but also more of this that are aimed at helping individuals get the most from their content, their digital marketing, and overall life as an entrepeneur. check out my instagram accounts @cgardinerphoto and @aerialmedia_gardiner for the very latest of what I find interesting. Everything from real estate tours, how-to walkthroughs, photography gear reviews, software demos, and more. Visit my youtube channels to see the latest Chris Gardiner Photography in Collingwood on YouTube Display Ads Help Support This Blog. Thank You for Understanding!